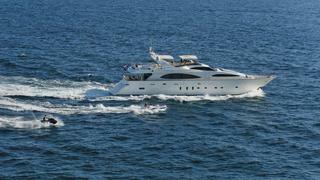 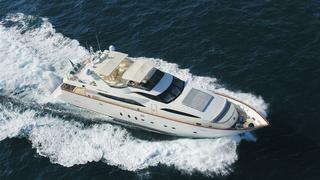 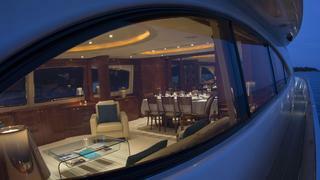 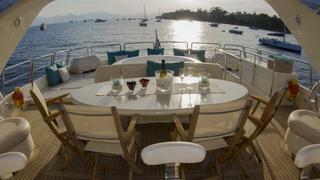 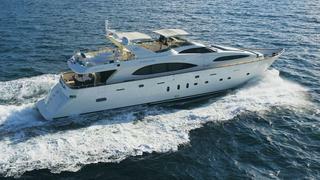 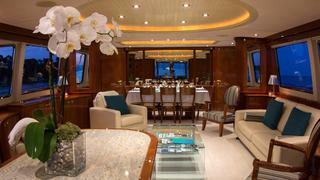 This fantastic 30 m motor yacht Cristales (ex-Cristalex) is one of the finest Azimut yachts available for charter today. 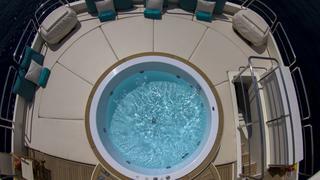 Cristales's impressive leisure and entertainment facilities including a Jacuzzi making her the ideal charter yacht for socializing and entertaining with family and friends. 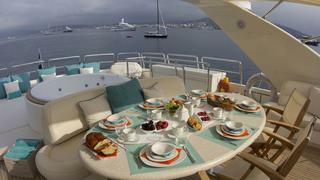 With a cruising speed of 22 knots, a maximum speed of 27 knots, she is the perfect combination of performance and luxury. 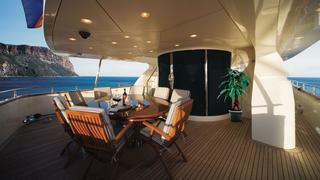 The addition of SeaKeeper Zero Speed stabilizers in 2015 reduce roll for even more comfort. 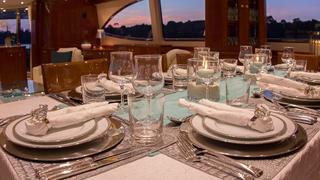 The main salon features a bar and a dining table comfortably seating 8 guests for formal dinners; alternatively guests may choose to eat on the large aft deck while enjoying the sights and sounds of the Mediterranean. 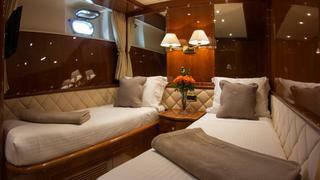 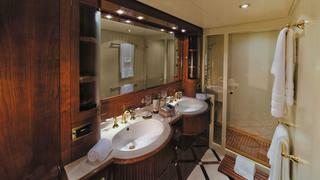 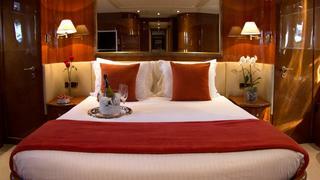 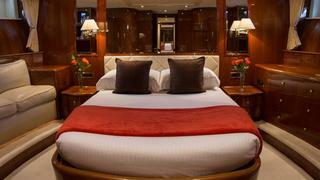 Superyacht Cristales’s accommodation offers four very comfortable cabins, two twin and two double cabins, all including ensuite bath facilities with marble counter tops and large showers. 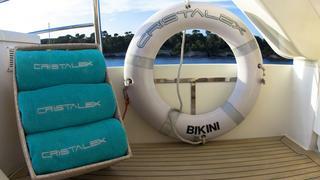 Luxury motor yacht Cristales has a wide array of water toys including a 5,5m Northsail Tender with 115hp outboard, Yamaha Waverunner GP1300, water skis, kayaks, donuts, banana and snorkelling gear.